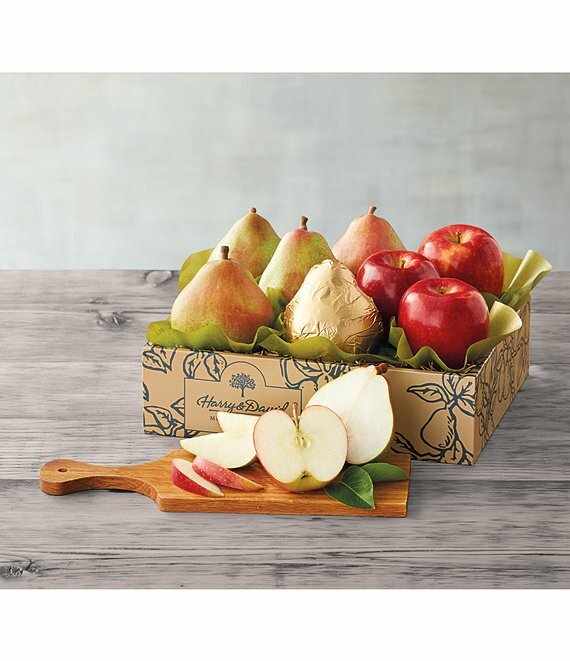 Treat someone special to our famous Royal Verano Pears and best-of-season apples, each among the most delectable fruit we offer. Our famous pears and premium apples are grown in carefully-tended orchards and rolled from their branches by hand. The pears, beautiful on the outside and juicy on the inside, make the perfect accompaniment to the sweet, crisp apples.